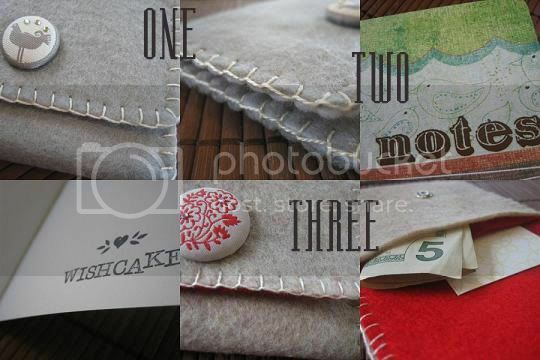 one: felt wallet with bird button.two: birdie notebook.three: felt wallet with flower button. oh i love it! your stuff is so cute! adorable! totally loving the colors and the stitching! Man, I need another word that's not cute or adorable... Fine, I don't care, I'm just gonna say-- your new stuff is so dang cute AND adorable-- you just can't deny it! I love the birdie notebook so much! Those are prettttty! Nice work.